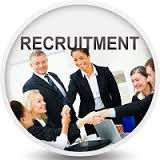 Required Places: Coimbatore, Chennai, Hosur, Tirupur, Erode, Salem, Namakkal, Trichy, Karur, Ooty, Vellore, Madurai, Tirunelveli, Tuticorin, Pondy, Cochin, Trivandrum, Mysore, Bangalore, Hyderabad, Vizag. Apply: E-Mail to your Resume Soft Copy + PP size Photo must. 112 A 15, Moogambiga Complex, Agilmedu 6th Street, Erode - 1.